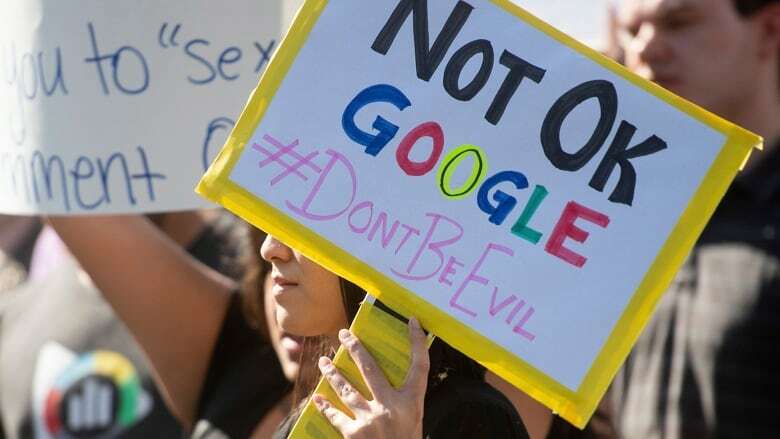 In the wake of a worldwide walkout by Google employees to protest the company's handling of executives accused of sexual misconduct and workplace harassment, a San Francisco lawyer says more such action is needed. "I'm hopeful that Google will start to get it right. They seem to be making an attempt," Barbara Lawless told The Current's guest host Laura Lynch. Walkouts were planned for 11:10 a.m. Thursday across different time zones, beginning in Asian countries, and demanded "five real changes." But Lawless, who has has spent decades tackling sexism in Silicon Valley, says change will be slow, unless the attitudes of "narcissistic men" who head tech companies are "tempered." "They kind of feel they have a right to violate the rules, they, you know, say, 'Well, we can disrupt cultures' and do whatever they want,"
"I think once that is tempered, it'll be a lot better, but I haven't seen it." Barbara Lawless, an employment litigator specializing in sexual harassment and discrimination. Produced by Samira Mohyeddin and Danielle Carr.